A long hot Summer is just around the corner, time to dust off the flip flops, prepare barbeques & look forward to lazy beach days ! 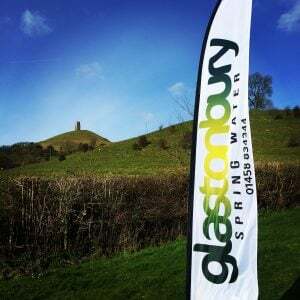 .. Glastonbury Spring Water are fully prepared to meet your hydration needs through everyone’s favourite season. We have a range of bottled waters, bottled water coolers, plumbed water coolers & fountains all available from our online shop. With the dark nights a thing of the past, more and more people are getting out & taking part in a range of sporting activities. 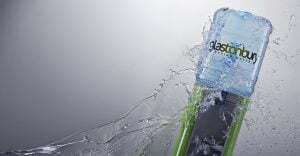 Glastonbury Spring Water has already kept runners hydrated at the Yeovil Half Marathon & Glastonbury 10k. Next weekend our flags will be flying at the Coast to Coast Cycle in aid of The Dorset & Somerset Air Ambulance. On the same weekend we will also be at the Immortal Half Triathlon with our friends at Total Buzz Events . Our Directors will take on the gruelling 1.2 mile swim, 56 mile bike & 13.1 mile run in the grounds of the stunning Stourhead Estate. 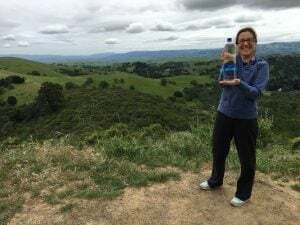 Mar Thomas, one of our longest & definitely furthest serving website customers kindly snapped our water at the the top of Mount Diablo, California. If any other customers have great photo’s of our water we would love to see them. Email them to us at [email protected] .